The massive surge of Central American immigrants piling up at our southern border is "without a doubt a reflection of what white nationalism is doing to our country," according to Rep Ilhan Omar. 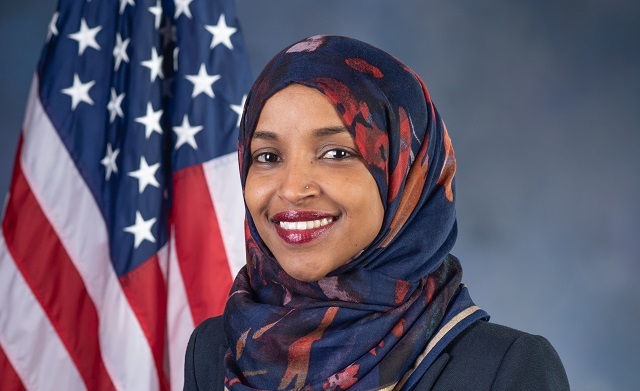 Imagine if you were let into Somalia as a refugee, elected to public office and made famous, then spent all your time attacking Somalians as evil "Somali supremacists" and telling them "we" must do better. Based on what we've been seeing the past few weeks, all these illegal aliens will simply fill out some forms (with coaching from Democrat lawyers) and then be released into the general public because they're using (and potentially "recycling") children as a "golden ticket" to escape deportation. "Catch and release" is back in full force and it's only getting worse thanks to the bipartisan open border bill Trump signed last month.